The College is proud of our excellent faculty members, who are frequently recognized for their expertise and achievements with awards and honors. Below are annual lists of faculty award winners since 2008. Note: Dr. DeSimone has been elected to all three U. S. National Academies. Fewer than 20 people in history have achieved this distinction. The R.J. Reynolds Tobacco Company Award for Excellence in Teaching, Research and Extension was established in 1981 within the College of Engineering to honor a member of the engineering faculty who has demonstrated superiority in several areas of activity that relate to the University’s three-fold mission of teaching, research and extension. 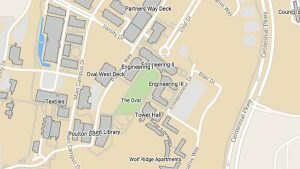 The annual award is supported by the R.J. Reynolds Tobacco Company through the NC State Engineering Foundation to recognize scientific and educational achievements in fields of engineering. The recipient is given a $25,000 prize distributed over five years. 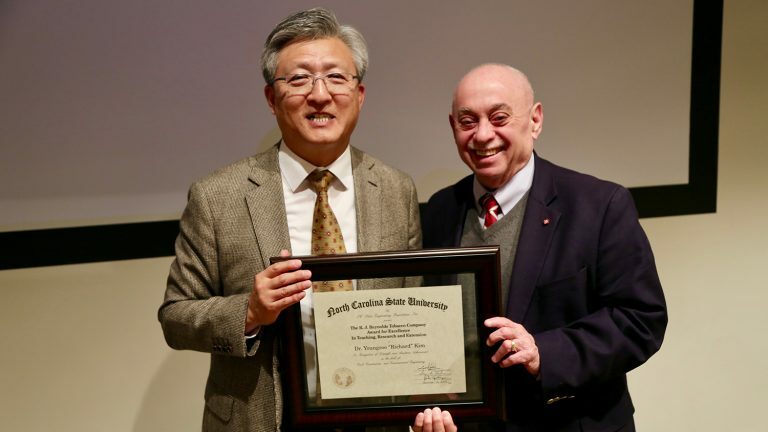 In the photo, Dr. Louis Martin-Vega, dean of the College of Engineering, presents the 2018 RJ Reynolds Tobacco Company Award for Excellence in Teaching, Research and Extension to Dr. Youngsoo “Richard” Kim, the Jimmy D. Clark Distinguished University Professor in the Department of Civil, Construction, and Environmental Engineering (CCEE). Download a list of all recipients (PDF). This annual awards program was established with support from the Alcoa Foundation in 1978 to encourage basic or applied research or research in original design. 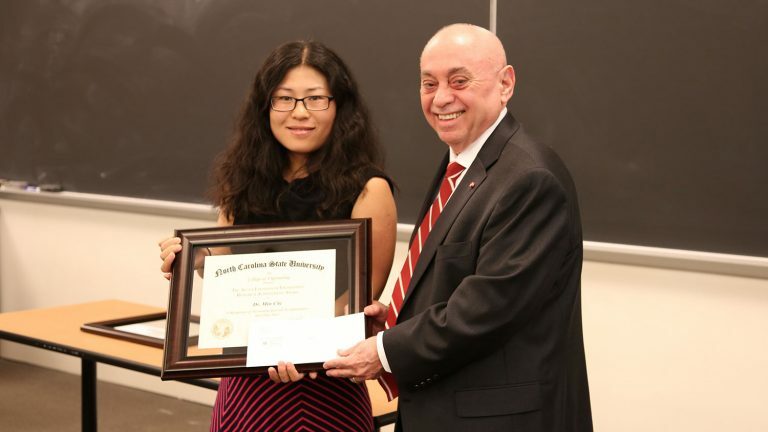 The Alcoa Foundation Distinguished Engineering Research Award is made to a senior faculty member for research achievements over a period of at least five years at NC State. The Alcoa Foundation Engineering Research Achievement Award is intended to recognize young faculty who have accomplished outstanding research achievements during the preceding three years. In the photo, Dr. Louis Martin-Vega, dean of engineering, presents Dr. Min Chi, assistant professor of computer science, with the 2018 Alcoa Foundation Engineering Research Achievement Award. Dr. Jason Haugh (not pictured), professor in the Department of Chemical and Biomolecular Engineering, received the 2018 Alcoa Foundation Distinguished Engineering Research Award.